Shell’s recent success in the US Gulf of Mexico includes its deepwater Dover discovery on Mississippi Canyon 612, reported last year, near its Appomattox platform. 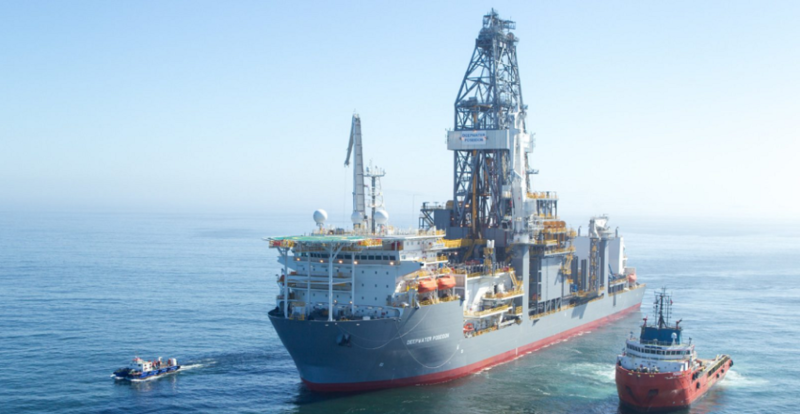 The well was drilled by the Deepwater Poseidon ultra-deepwater drillship. Sources: Shell, Transocean. A cadre of 30 oil and gas producers submitted 257 total bids in Wednesday’s Gulf of Mexico (GOM) region-wide auction, with the Mississippi Canyon drawing the highest bid and a unit of Royal Dutch Shell plc far and away outbidding everybody. Of the 78.5 million acres on offer in Lease Sale 252, BOEM received bids on 1.3 million acres. The latest region-wide Gulf of Mexico lease sale, held March 20 in New Orleans by the US Bureau of Ocean Energy Management, generated $244.3 million in apparent high bids for 227 tracts. There were a total of 14,699 tracts offered in the gulf’s federal waters. A total of 30 companies submitted 257 bids totaling close to $283.8 million in Lease Sale 252, which covered more than 78 million acres in areas 3-231 miles offshore in the gulf's western, central, and eastern planning areas in 9-11,115 ft of water. Shell Offshore Inc., Anadarko US Offshore LLC, and BP Exploration & Production Inc. filled the top three company spots, based on the total number of high bids submitted. Shell submitted 87 apparent high bids totaling $84,827,644; Anadarko, 27 totaling $24,061,854, and BP, 23 totaling $15,451,679. The deepest block receiving a bid was Lloyd Ridge 456 in 3,054 m of water. With 4 bids each, Mississippi Canyon 344 and Mississippi Canyon 801 received the greatest number of bids. The highest bid on a block, made by Equinor Gulf of Mexico LLC, was close to $24.5 million for Mississippi Canyon 801 in 800-1,600 m of water. Deepwater was the main draw at the sale, with a rounded $115.1 million in apparent high bids received for 95 blocks offered in greater than 1,600 m of water. More than $113.8 million in apparent high bids was received for 84 blocks in 800-1,600 m of water. Hess Corp., with a bid of about $10.1 million, was the company submitting the second single-highest bid in its try for Mississippi Canyon 684 in more than 1,600 m of water. This latest lease sale is the fourth offshore sale under the Outer Continental Shelf Oil & Gas Leasing Program for 2017-22. Under the program, 10 region-wide lease sales are scheduled for the gulf. The Gulf of Mexico OCS, covering about 160 million acres, contains about 48 billion bbl of undiscovered technically recoverable oil and 141 tcf of undiscovered technically recoverable gas, according to BOEM. Read also Shell Dominates US Gulf Lease Sale . . .